Camille's Christmas outfit is too much!! (unfortunately we had a few holiday wardrobe changes around these parts too- what is it with these girls?! ha) Great pictures, looks like a wonderful holiday- glad yall's first as a family of three was a success! Sounds like a wonderful day! 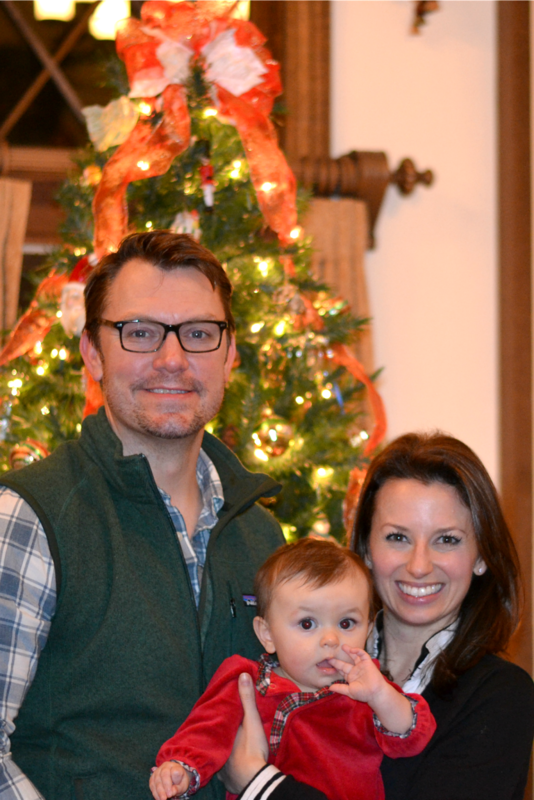 So happy you guys all enjoyed Camille's first Christmas together! I hope you're feeling better! That sounds like a horrible bug :( But glad you got better and looks like you had a lovely Christmas! What a wonderful first Christmas! 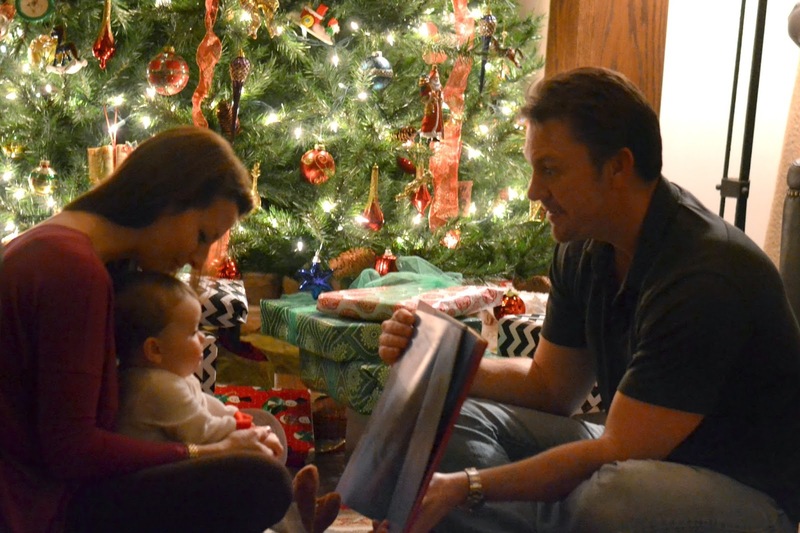 Loving those sweet pictures of you guys reading to Camille. Precious. And her outfit? Dying. Perfect for a cozy, festive holiday. I'm sorry you were feeling do bad but glad you felt better & ended up having a wonderful Christmas!! I love Camille's outfits too!!! You got some absolutely adorable pictures! Loving the ones of ya'll reading to sweet baby girl. Such a nice tradition to start! The pictures of yall reading altogether are priceless!! What a sweet tradition :) Looks like a wonderful Christmas! Seriously, your whole family is like a bunch of supermodels! Camille's eyes are too die for, and I'm loving Ian's glasses. You look beautiful as always! Glad you all had a great Christmas! What a cutie! Glad you got some rest and nipped whatever crud you were getting in the bud! Looks like a great Christmas! 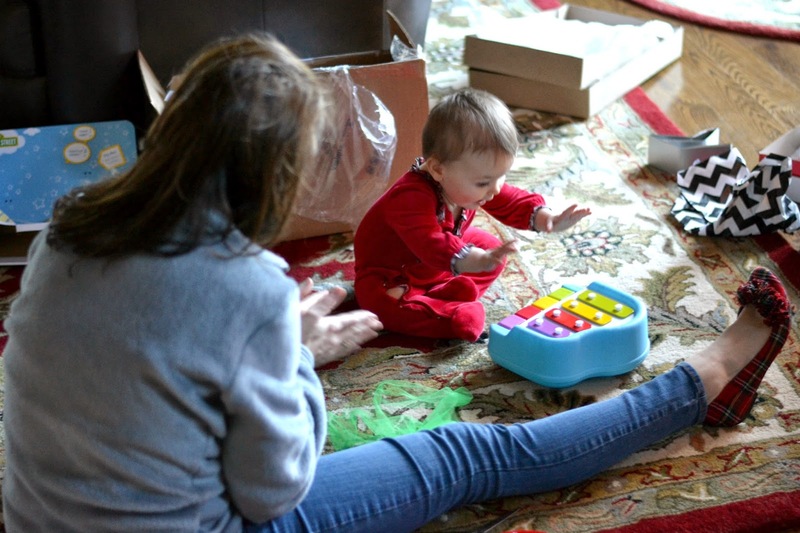 That tap and tune piano is still a huge hit in our house. April! Camille looked absolutely precious in the Christmas dress!! So glad she was able to wear it!! Happy New Year! I love the add a pearl idea...where did you find that? i hate you weren't feeling well, Millie is sick now and my mom's been sick too. ugh, glad they let you get some rest. looks like a great Christmas! What a lovely Christmas! Sorry to hear you weren't feeling well but it sounded like you got some good sleep. I love the idea of Ian giving Camille the necklace. What a sweet and meaningful gift. So sorry you weren't feeling well, but it certainly sounds as if all went well and you ended up having a fabulous Christmas. I am jealous of your little mountain escape. I bet it's incredible, and makes it feel even more like Christmas. Happy New Year! What a wonderful first Christmas! Love all the sweet pictures of Camille! Love Ian's idea about reading 'Twas the Night Before Christmas on Christmas Eve!! Does sound nice just having a quiet one... And the outfit... So freaking adorable! Gorgeousss picture of you and Camille! Looks like a wonderful first Christmas for the little lady! Shes growing so fast!! 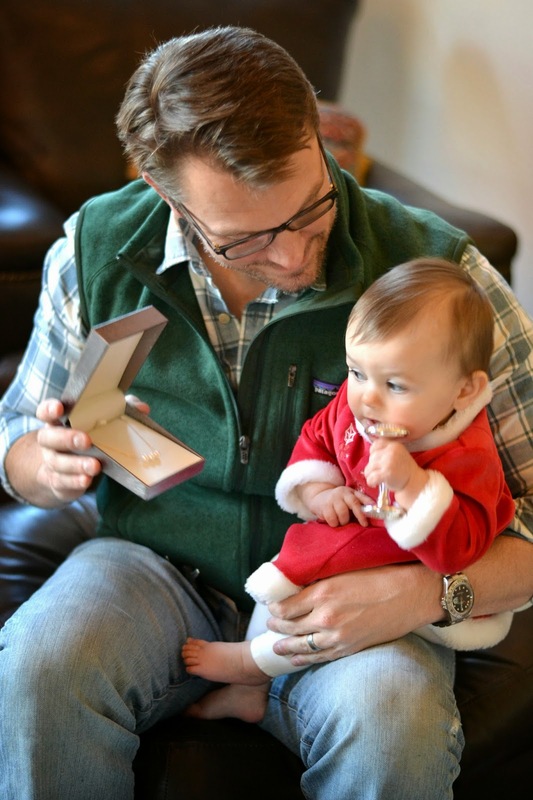 Such special memories and pictures of Camille's first Christmas! 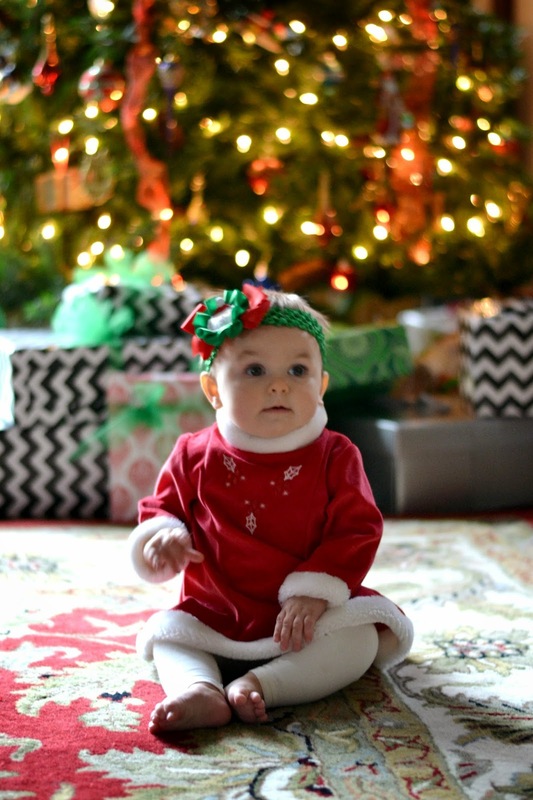 Love Camille's little Christmas outfit! Looks like you all had such a fun Christmas! Love the pearl necklace idea!! My goodness could C be any cuter?!? Love the necklace idea! Wonderful pics! Glad y'all had a wonderful Christmas! Ps. You are looking gorg!!! xoxo. I'm sorry you were under the weather, but a mountain Christmas sounds like perfection! 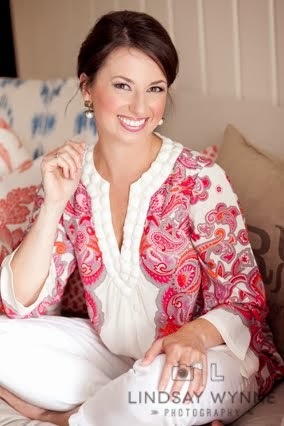 You look gorgeous in all the pics--definitely have a "Mommy Glow!"